Published on March 27, 2018 in General. 0 Comments Tags: Phishing Scams. 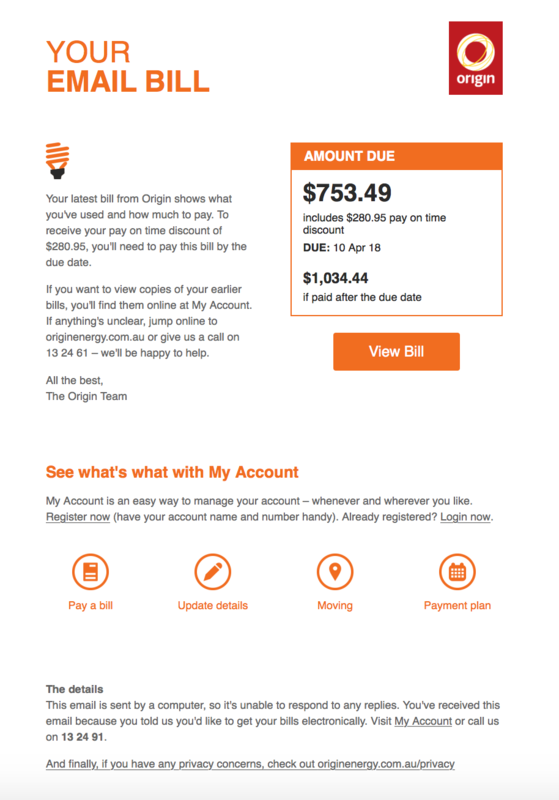 Be careful of the latest phishing scam claiming you have a balance owing to Origin Energy! Don’t click on any of the links – even though SOME of them look legit! This is the PHISHING SCAM LINK!!! This one looks legitimate, which is why you have to be VERY careful and diligent! Apple users, be careful of this phishing scam!